It’s one thing to paint, sing, or dance (an AMAZING thing, of course! ), but it’s a whole different ball of wax to weave your creative spirit into every aspect of your life. From the way you make breakfast, to how you use your voice, walk down the street, and listen to your loved ones, there are infinite ways to invite more creativity into your everyday life. 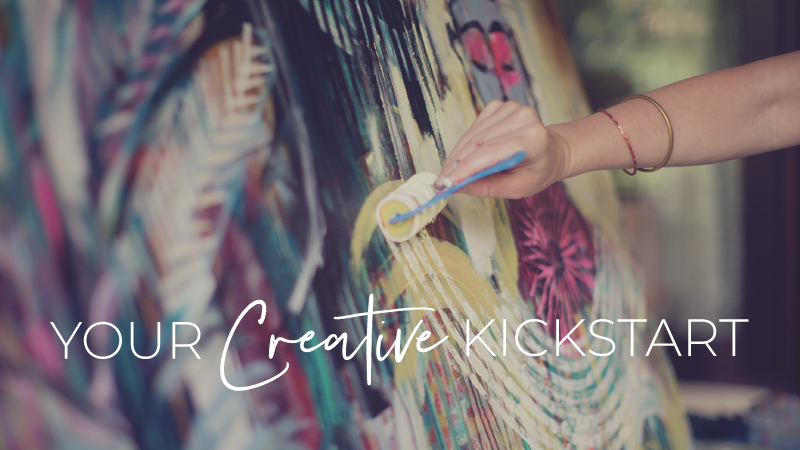 My own desire to infuse more creativity into my life beyond my large scale painting practice inspired me to create the Creative Revolution E-Course. And while you’ll certainly find plenty of hands-on art making exercises in the course, you’ll also find a plethora of innovative and attainable ways to honor your creative spirit through the weekly Art of Aliveness series. To tell you more about this aspect of the course, I made a little video for you below. To get the full scoop, please check out all my videos I’ve created about the course: Creative Exercises, Movement Sequences, and Morning and Evening Sanctuaries.